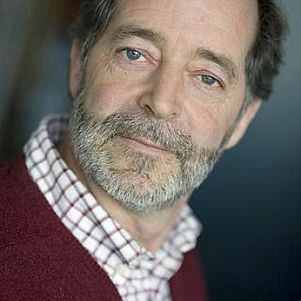 John Groenewegen is an economics graduate of Erasmus University Rotterdam and the University of Maastricht where he received his PhD in 1989. He joined the section Economics of Infrastructures at the Technical University of Delft in 2004 where his main interest lies in the domain of institutional change in liberalised infrastructures. From 1979 onwards he has been affiliated with the Rotterdam School of Economics of Erasmus University Rotterdam. He has recently served the School as vice dean responsible for the curriculum. He specialised in the Economics of Organisation and Asian Economics. He is appointed in Rotterdam as full professor of ;Institutional Economics in 1999 and in the same year he accepted also a chair at the University of Utrecht in Comparative Institutional Analysis; the Dutch and French economic systems compared. As off May 2004 he is also full professor Economics of Infrastructures at the Technical University Delft. He presently teaches Institutional Design in Delft, institutional economics at the Rotterdam School of Economics as well as managerial economics at the Rotterdam School of Management, and the methodology of economics at the Erasmus Institute for Philosophy and Economics (EIPE). He is a research fellow of the Tinbergen Institute (TI) of the Rotterdam School of Economics. At the Technical University of Delft his research is located in the domain of Public Values of the foundation Next Generation of Infrastructures (NGInfra). He served as a consultant to the Dutch Ministry of Economic Affairs. He is General Secretary of the council of the European Association for Evolutionary Political Economy (EAEPE), secretary of the Foundation of the Journal of Institutional Economics, secretary of the Foundation of Evolutionary Economics Development (FEED), president of the Board of the Dutch-Belgian Association of Political and Institutional Economics (APIE) and member of the board of Trustees (Past-President) of the Association for Evolutionary Economics. He is founding director of the research foundation GRASP. He is past president of the American Association for Evolutionary Economics (AFEE) and at the moment member of the Board of Trustees of that association. He is referee of several journals. (2015), “Two Perspectives on Trading in Radio Spectrum Usage Rights: Coase and Commons Compared, Journal of Institutional Economics Ronald H. Coase Memorial Issue, Vol11, no. 2 June, pp.437-457 (co-authors: Wolter Lemstra, Piet de Vries and Rajen Akalu). Groenewegen, JPM, Correlje, AF, Kunneke, RW & Scholten, DJ (2014). Design for values in economics. In J van den Hoven, P Vermaas & I van de Poel (Eds. ), Handbook of ethics, values and technological design (pp. 117-149). Dordrecht: Springer. (2014), “On Understanding and Designing Next Generation Infrastructures; on Mono-, Multi- and Interdisciplinarity, Valedictory Lecture, 23 May 2014, Faculty Technology, Policy and Management, Delft University of Technology.